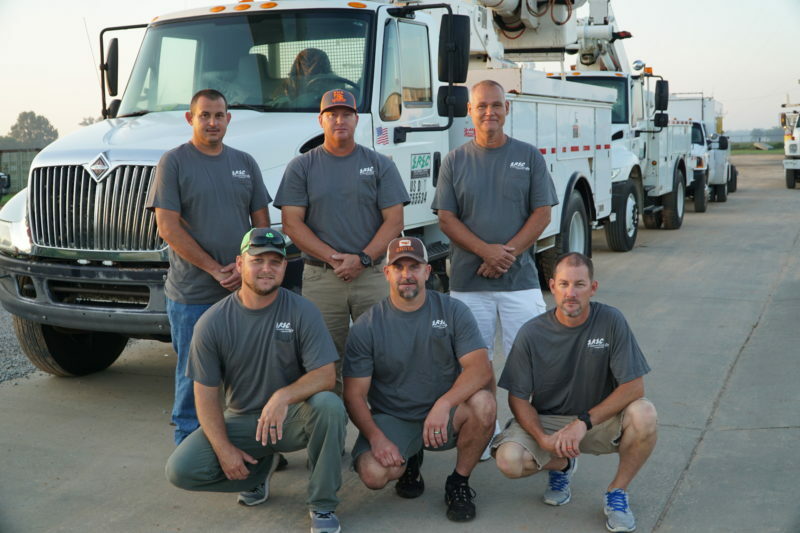 Escambia River Electric Cooperative lineworkers are heading north to assist Brunswick Electric Membership Cooperative in Whiteville, North Carolina, restore power and repair damage caused by Hurricane Florence. Brunswick EMC is the second largest electric cooperative in North Carolina and serves nearly 97,000 members. About 87% of their membership is currently without power. EREC has sent line crew workers; bucket, digger, mechanic and fuel trucks; as well as additional equipment and supplies to assist Brunswick EMC in restoration efforts. EREC line crew heads to Brunswick Electric Membership Cooperative to assist with Hurricane Florence power restoration. Pictured back row are Mark LeFlore, David Deese and Ken Blair. Kneeling in front are Matthew Reynolds, Doug Stewart and Kevin Macht. 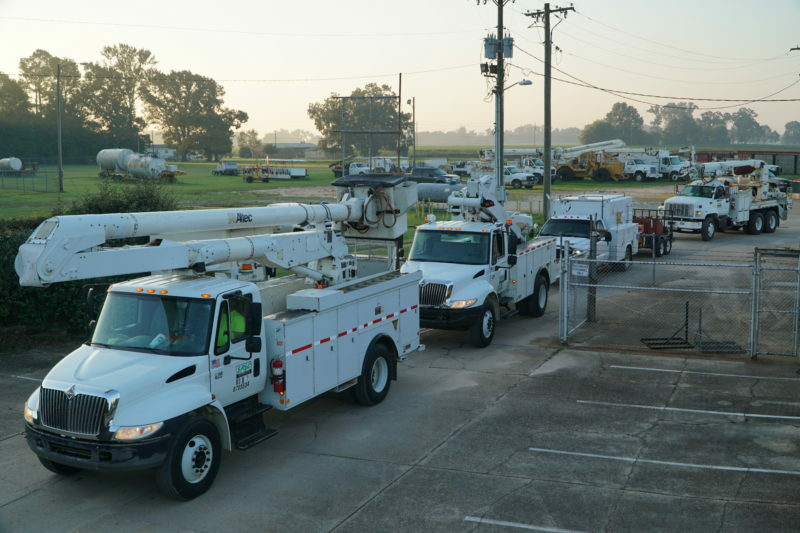 EREC trucks head north to assist with power restoration efforts in Whiteville, North Carolina.